The American Childhood Cancer Organization (ACCO) was founded in 1970 by a dedicated group of parents of children with cancer. It’s the oldest and largest grassroots childhood cancer organization in the U.S.
Amazon donated $ 1 million to ACCO in September (Childhood Cancer Awareness Month), and partnered with the organization to raise awareness about childhood cancers and empower customers to join in the fight. 1. On September 6, Amazon employees wore pajamas to work. Pajamas are the battle uniform for children with cancer, so we wore them to let them know they are not alone. Check out photos from when we were #PJAMMIN. Amazon employees take part in “Goes Gold” and the PJammin’ challenge. 2. 30 Days, 30 Smiles Delivered: During the month of September, ACCO and Amazon delivered smiles to 30 children in 30 days, through fun and exciting STEM (science, technology, engineering and math) immersion experiences across the country. Additionally, for each child we delivered smiles (through events and celebrations in September), we made a $ 10k donation to the hospitals that treated them in their honor. We have given a total of $ 300k to local pediatric oncology programs across North America. 3. As part of our 30 Days, 30 Smiles Delivered efforts, we coordinated a visit and tour of our Kent, Washington Fulfillment Center, for five young cancer fighters and their families.These kids and their families got to see how Amazonians pick, pack and ship customer orders. They then got to do the same by filling special boxes with toys and games destined for other kids impacted by cancer. Get more details. 4. Did you get a gold Amazon box at your door in September? 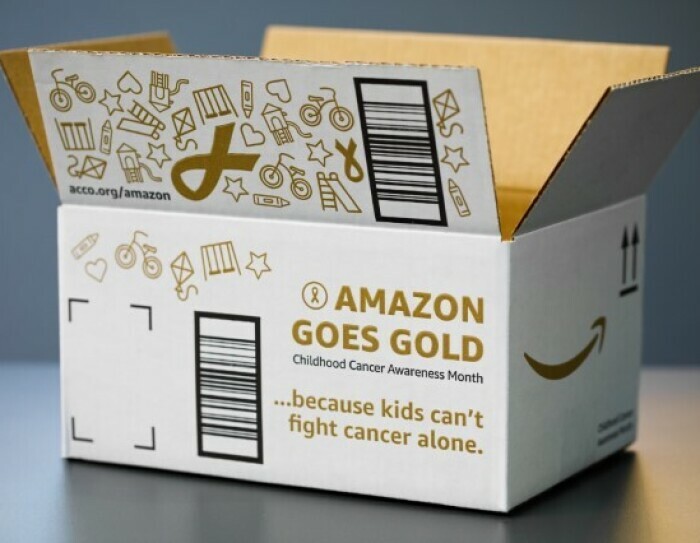 We delivered 10 million uniquely-designed boxes featuring gold ribbons (the international symbol of childhood cancer), to raise awareness and empower customers to join the fight against childhood cancer. 5. 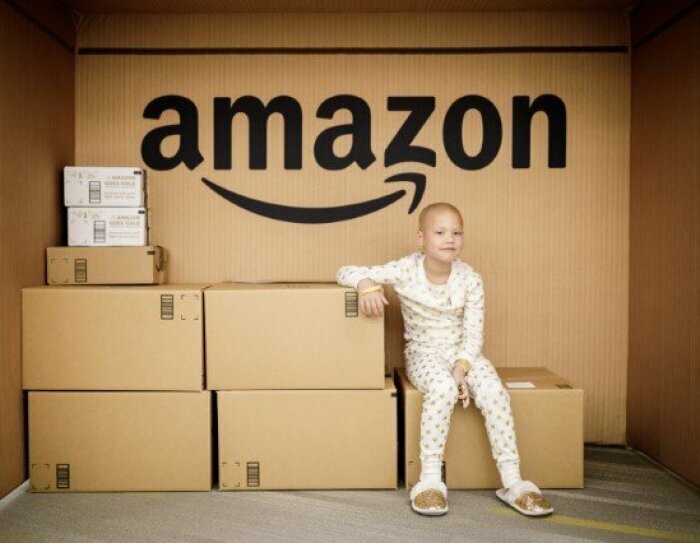 As part of National Childhood Cancer Awareness Month, Amazon donated $ 1 million to the American Childhood Cancer Organization (ACCO) to help fund initiatives that provide educational, financial and emotional support to children and families in communities across the country. Learn about one of many families battling childhood cancer. Because kids can’t fight cancer alone.